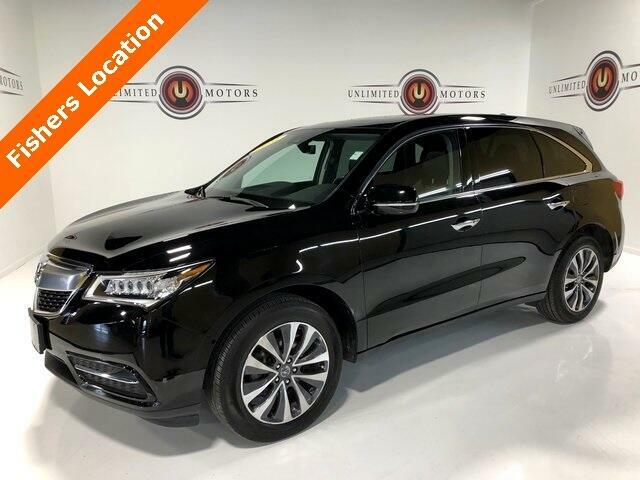 Navigation, Bluetooth, Back Up Camera, Sun/Moon Roof, Luggage Rack, Heated Seats, MDX 3.5L, 4D Sport Utility, AWD, 10 Speakers, 3rd row seats: split-bench, Blind spot sensor: warning, Brake assist, Exterior Parking Camera Rear, Heated door mirrors, Heated Front Sport Seats, Leather-Trimmed Interior, Memory seat, Power driver seat, Power Liftgate, Power moonroof, Remote keyless entry, Steering wheel mounted audio controls. CARFAX One-Owner. 18/26 City/Highway MPG Odometer is 702 miles below market average! Priced below KBB Fair Purchase Price!